The retirement villages Cape Town has to offer are set in one of the most beautiful cities in the world. Cape Town is well known for its laid back attitude. This means you can sit back, relax and enjoy the wonderful activities, sights and sounds of the Mother City. Make Cape Town your retirement destination today! 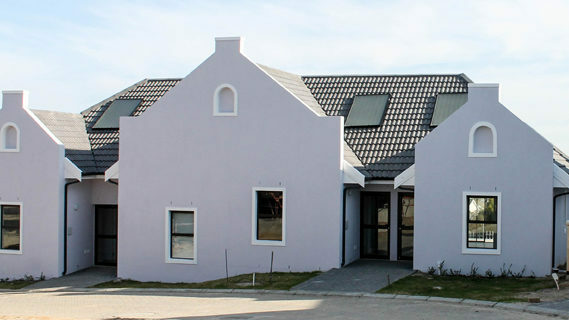 Part of the Cape Peninsula Organisation for the Aged (CPOA), Yvonne Parfit is situated in Westridge, Mitchels Plain. This secure complex is ideal for independent living and offers a cleaning service and transport service at an additional cost. 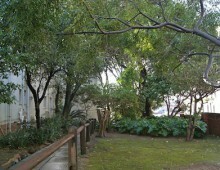 This retirement village is located in Observatory, close to clinics, medical suites, shopping centres and sports clubs. Arcadia Place Retirement Village offers transport to the shops on request and parking bays are available for an additional fee. 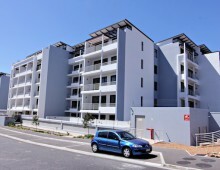 This exclusive luxury boutique retirement village is situated in Sea point. It's close to top restaurants, Sea Point beach and Promenade and the Cape Town Waterfront!. You can select from comfortable luxury apartments or cottages offered on a Sectional Title or Life Rights basis. This luxury retirement village in Diep River has magnificent views of the Contantia Mountains and is a short drive from the beach. Independent living in comfort is the focus for the residents of Fernbridge Retirement Village. Soak in the heated pool, relax in the upmarket lounge and socialise in the well-equipped entertainment room. 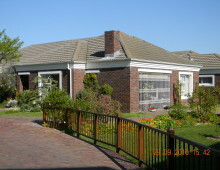 This upmarket retirement village in Meadowridge features great open gardens in a secure complex. Rental options are available for over 60s. Enjoy good company in a comfortable and secure environment. This is a good investment for retirees, in the form of a freehold village. River Glade Retirement Village is close to clinics, shops, the beach and top restaurants. 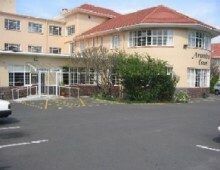 Avondrust Retirement Village is situated in Rondebosch, Cape Town. It's close to shops, clinics, the beach and sports clubs for seniors. 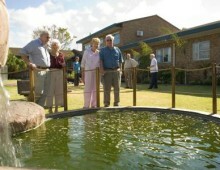 Residents enjoy active, healthy living in this secure retirement village. Quality of life, independence and preservation of dignity are encouraged here. Enjoy comfortable, carefree living in this modern retirement village. 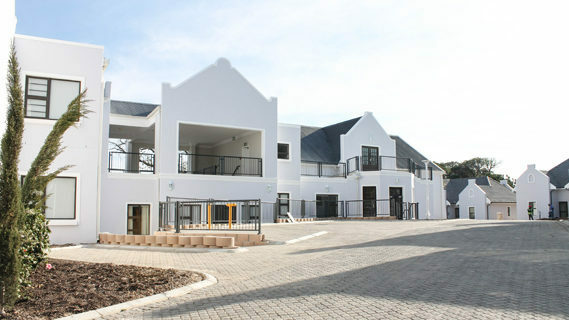 Situated in prime position of Three Anchor Bay, this luxury retirement village offers stunning sea and mountain views. Residents enjoy their independence in comfort and luxury. This modern retirement village is perfect for the single senior citizen who wants to stay independent. It's just five minutes' drive from Muizenberg beach, and shopping centre. Enjoy socials at the resident's club. If you seek natural tranquillity with a magnificent view of Table Mountain, you will love Panorama Palms. You can enjoy peace of mind while enjoying life to the fullest. This village is close to the beach, the Victoria and Alfred Waterfront, and the Tygervalley and Canal Walk shopping Centres. Part of the Cape Peninsula Organisation for the Aged (CPOA), this quaint upmarket retirement village is ideal for seniors who seek independent or assisted living in a secure, natural environment. Residents enjoy comfortable one bedroom cottages in this pet friendly retirement village, suitable for independent living and offered on a rental basis. Cleaning and transport services are available on request for an additional fee. Against the gentle slopes of the Tygerberg Hills lies De Plattekloof Retirement Village Cape Town. The lifestyle estate boasts luxurious accommodation with breathtaking Table Mountain views, as well as healthcare and security of the highest standard. Zevenwacht Lifestyle Estate is perfectly designed for the 50-years-and-over individuals who are planning their retirement and want to own a piece of the Stellenbosch Wine Route. Enjoy your golden years on the wine route in this 4-tier, 24-hour security estate next to the world-renowned, prize-winning Zevenwacht Wine Estate. string(29) "Retirement Villages Cape Town"
string(5257) "The retirement villages Cape Town has to offer are set in one of the most beautiful cities in the world. Cape Town is well known for its laid back attitude. This means you can sit back, relax and enjoy the wonderful activities, sights and sounds of the Mother City. Make Cape Town your retirement destination today! Have a look below for some of the best retirement villages Cape Town has to offer: Retirement Villages Cape Town: Yvonne Parfit Retirement Village Cape Town Part of the Cape Peninsula Organisation for the Aged (CPOA), Yvonne Parfit is situated in Westridge, Mitchels Plain. This secure complex is ideal for independent living and offers a cleaning service and transport service at an additional cost. Read more here… Arcadia Place Retirement Village Cape Town This retirement village is located in Observatory, close to clinics, medical suites, shopping centres and sports clubs. Arcadia Place Retirement Village offers transport to the shops on request and parking bays are available for an additional fee. Read more here… Palm Garden Retreat Retirement Village This exclusive luxury boutique retirement village is situated in Sea point. It's close to top restaurants, Sea Point beach and Promenade and the Cape Town Waterfront!. You can select from comfortable luxury apartments or cottages offered on a Sectional Title or Life Rights basis. Read more here… Fernbridge Retirement Village Cape Town This luxury retirement village in Diep River has magnificent views of the Contantia Mountains and is a short drive from the beach. Independent living in comfort is the focus for the residents of Fernbridge Retirement Village. Soak in the heated pool, relax in the upmarket lounge and socialise in the well-equipped entertainment room. Read more here… Anchusa Court Retirement Village Cape Town  This upmarket retirement village in Meadowridge features great open gardens in a secure complex. Rental options are available for over 60s. Enjoy good company in a comfortable and secure environment. 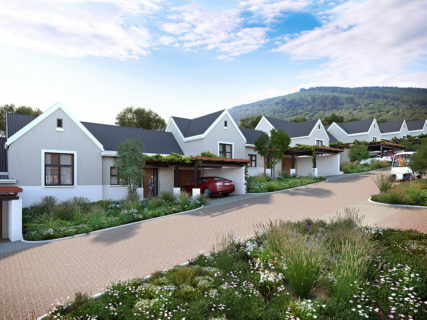 Read more here… River Glade Retirement Village Cape Town This is a good investment for retirees, in the form of a freehold village. 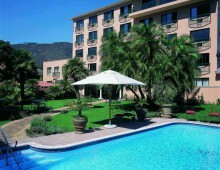 River Glade Retirement Village is close to clinics, shops, the beach and top restaurants. Read more here… Avondrust Retirement Village Cape Town  Avondrust Retirement Village is situated in Rondebosch, Cape Town. It's close to shops, clinics, the beach and sports clubs for seniors. Read more here…   Pinelands Grove Retirement Village Cape Town  Residents enjoy active, healthy living in this secure retirement village. Quality of life, independence and preservation of dignity are encouraged here. Enjoy comfortable, carefree living in this modern retirement village. Read more here…           Sea Point Place Retirement Village Cape Town  Situated in prime position of Three Anchor Bay, this luxury retirement village offers stunning sea and mountain views. Residents enjoy their independence in comfort and luxury. 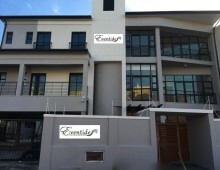 Read more here…   Eventide Retirement Village Cape Town This modern retirement village is perfect for the single senior citizen who wants to stay independent. It's just five minutes' drive from Muizenberg beach, and shopping centre. Enjoy socials at the resident's club. Read more here… Trans 50 Panorama Palms Retirement Village Cape Town  If you seek natural tranquillity with a magnificent view of Table Mountain, you will love Panorama Palms. You can enjoy peace of mind while enjoying life to the fullest. This village is close to the beach, the Victoria and Alfred Waterfront, and the Tygervalley and Canal Walk shopping Centres. 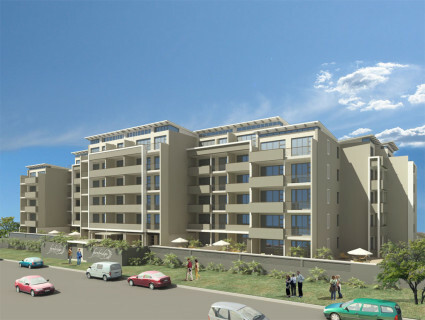 Read more here… Constantia Place Retirement Village Cape Town Part of the Cape Peninsula Organisation for the Aged (CPOA), this quaint upmarket retirement village is ideal for seniors who seek independent or assisted living in a secure, natural environment. Read more here… Harfield Retirement Village Cape Town Residents enjoy comfortable one bedroom cottages in this pet friendly retirement village, suitable for independent living and offered on a rental basis. Cleaning and transport services are available on request for an additional fee. Read more here…   De Plattekloof Lifestyle Estate Retirement Village Cape Town Against the gentle slopes of the Tygerberg Hills lies De Plattekloof Retirement Village Cape Town. The lifestyle estate boasts luxurious accommodation with breathtaking Table Mountain views, as well as healthcare and security of the highest standard. 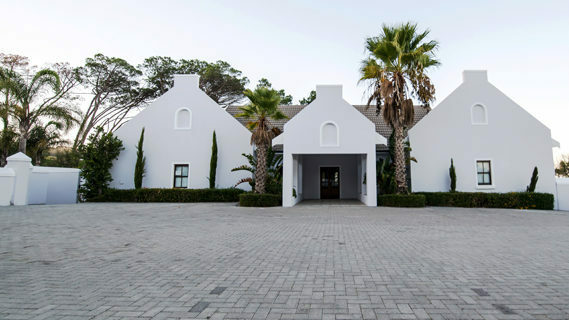 Read more here… Zevenwacht Lifestyle Estate – Retirement Village Cape Town Zevenwacht Lifestyle Estate is perfectly designed for the 50-years-and-over individuals who are planning their retirement and want to own a piece of the Stellenbosch Wine Route. Enjoy your golden years on the wine route in this 4-tier, 24-hour security estate next to the world-renowned, prize-winning Zevenwacht Wine Estate. Read more here…      "
string(156) "The retirement villages Cape Town has to offer are set in one of the most beautiful cities in the world. Cape Town is well known for its laid back attitude." string(4216) "The retirement villages Cape Town has to offer are set in one of the most beautiful cities in the world. Cape Town is well known for its laid back attitude. This means you can sit back, relax and enjoy the wonderful activities, sights and sounds of the Mother City. Make Cape Town your retirement destination today! Have a look below for some of the best retirement villages Cape Town has to offer: Retirement Villages Cape Town: Yvonne Parfit Retirement Village Cape Town Part of the Cape Peninsula Organisation for the Aged (CPOA), Yvonne Parfit is situated in Westridge, Mitchels Plain. This secure complex is ideal for independent living and offers a cleaning service and transport service at an additional cost. Read more here… Arcadia Place Retirement Village Cape Town This retirement village is located in Observatory, close to clinics, medical suites, shopping centres and sports clubs. Arcadia Place Retirement Village offers transport to the shops on request and parking bays are available for an additional fee. Read more here… Palm Garden Retreat Retirement Village This exclusive luxury boutique retirement village is situated in Sea point. 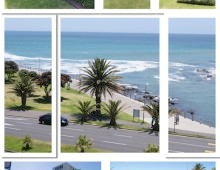 It's close to top restaurants, Sea Point beach and Promenade and the Cape Town Waterfront!. You can select from comfortable luxury apartments or cottages offered on a Sectional Title or Life Rights basis. Read more here… Fernbridge Retirement Village Cape Town This luxury retirement village in Diep River has magnificent views of the Contantia Mountains and is a short drive from the beach. Independent living in comfort is the focus for the residents of Fernbridge Retirement Village. Soak in the heated pool, relax in the upmarket lounge and socialise in the well-equipped entertainment room. Read more here… Anchusa Court Retirement Village Cape Town  This upmarket retirement village in Meadowridge features great open gardens in a secure complex. Rental options are available for over 60s. Enjoy good company in a comfortable and secure environment. 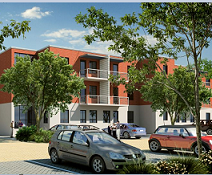 Read more here… River Glade Retirement Village Cape Town This is a good investment for retirees, in the form of a freehold village. 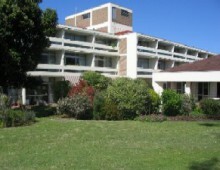 River Glade Retirement Village is close to clinics, shops, the beach and top restaurants. 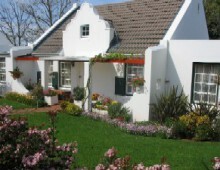 Read more here… Avondrust Retirement Village Cape Town  Avondrust Retirement Village is situated in Rondebosch, Cape Town. It's close to shops, clinics, the beach and sports clubs for seniors. Read more here…   Pinelands Grove Retirement Village Cape Town  Residents enjoy active, healthy living in this secure retirement village. Quality of life, independence and preservation of dignity are encouraged here. Enjoy comfortable, carefree living in this modern retirement village. Read more here…   Sea Point Place Retirement Village Cape Town  Situated in prime position of Three Anchor Bay, this luxury retirement village offers stunning sea and mountain views. Residents enjoy their independence in comfort and luxury. 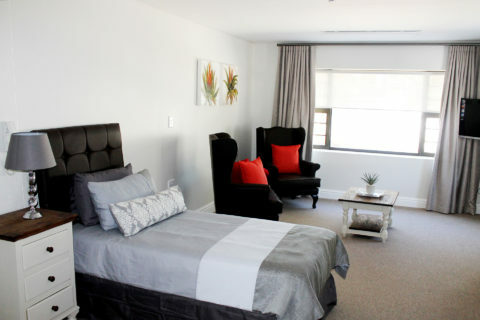 Read more here…   Eventide Retirement Village Cape Town This modern retirement village is perfect for the single senior citizen who wants to stay independent. It's just five minutes' drive from Muizenberg beach, and shopping centre. Enjoy socials at the resident's club. Read more here… Tans 50 Panorama Palms Retirement Village Cape Town  If you seek natural tranquillity with a magnificent view of Table Mountain, you will love Panorama Palms. You can enjoy peace of mind while enjoying life to the fullest. This village is close to the beach, the Victoria and Alfred Waterfront, and the Tygervalley and Canal Walk shopping Centres. Read more here… Constantia Place Retirement Village Cape Town Part of the Cape Peninsula Organisation for the Aged (CPOA), this quaint upmarket retirement village is ideal for seniors who seek independent or assisted living in a secure, natural environment. 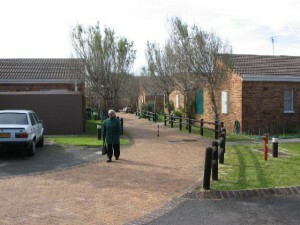 Read more here… Harfield Retirement Village Cape Town Residents enjoy comfortable one bedroom cottages in this pet friendly retirement village, suitable for independent living and offered on a rental basis. Cleaning and transport services are available on request for an additional fee. Read more here…"